I am such a big fan of Manda Collins Books!!! I am really looking forward to the release date for this book!!! This was a great conclusion to the “Ugly Duckling” trilogy. I really liked Christian’s character. He was honest, protective of those who he considers friends and his family, and patient, though Maddie has a way of running his patience thin. And though he disagrees with Maddie’s ideas and plans, he knows he wouldn’t be able to talk her out of it and decides to make sure he is there to protect her just in case. I like the friendship he has with Winterson and Deveril, and it was fun to see how it developed throughout the trilogy. I liked Maddie in the first two books. And though I still liked her character, some of the things that she did didn’t seem like it was something she would of done. Like her other cousins, she has a stubborn streak when she decides to do something. But unlike Cecily and Juliet, she didn’t seem really smart on how she went about to do things, which I didn’t really notice when she was mentioned in the other two books. It just didn’t seem like it was natural, but I guess it did have story flow without holding it up or having something added that didn’t make since so in the end it worked out. 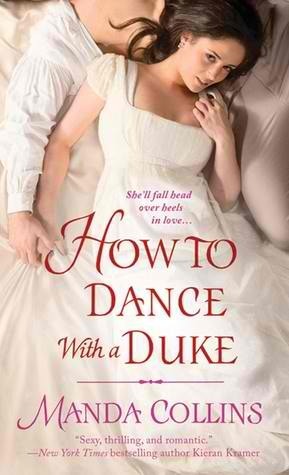 This was a fun book to read, though I did enjoy its predecessor, “How To Dance With A Duke” a little better. As I was reading it, it just didn’t seem to have the same feeling to it, but it was still an enjoyable book to read. Both Alec and Juliet grew up with a very domineering parent, that had some way left their mark on them. I loved reading how they both were able to overcome what they thought were fatal flaws, and they both helped each other to overcome it. I enjoyed how their relationship began as partnership that had developed into feelings for each other. Though Cecily, Winterson, Maddie, and Montieth were mentioned in their story, they didn’t really have much involvement with Maddie and Deveril like they had in the first book of the series. I did enjoy however, how both Cecily and Maddie insisted on helping the gentleman save Juliet in the end and that the author still shown the girl’s stubborn nature of not leaving it just to the men. The book was an enjoyable read, which did leave me wanting to read the book for Maddie and Montieth, so I can read what mischief they will all get into next and how this so far fun trilogy comes to an end. Lucas Dalton, Duke of Winterson on a search to find clues about the disappearance of his brother, William Dalton. When he went to the Egyptian Club in hopes of finding some clues her runs into Cecily, not knowing at first that she is the daughter of the man who is said to be responsible for his brother’s disappearance. After clearing the air, they decide to help each other out in finding clues to there questions of, where is the location of her father’s journals and what happened to William Dalton. During the process however, they both seem unable to deny the sparks of attraction between them…. This was a really fun book to read and a great start to the “Ugly Ducklings” series. Lucas and Cecily were fantastic partners. I liked how they new each other strengths and were able to help each other in finding clues to solving their dilemmas. 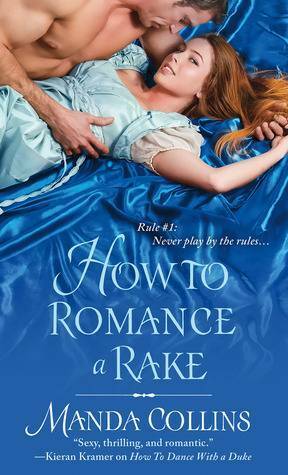 The side characters were a great addition and makes you look forward to Cecily’s cousins and Lucas’ friends stories which are, Miss Juliet Shelby and Lord Alec Deveril story (How to Romance a Rake) and Lady Madeline Essex and Christian Monteith book (How to Entice an Earl). I really enjoyed reading this book and was one of those that I could have read without putting down. The story was written really well and kept me interested until the end. They only thing that I didn’t much care for was how long it took for Cecily to get over her past heartbreak and admit that she loved Lucas. So other then that it was an absolutely delightful story.